YOUR INTENSIVE CARE HOTLINE - WHAT HAPPENS IF MY CRITICALLY ILL LOVED ONE CAN’T BE WEANED OFF THE VENTILATOR? Having a loved one critically ill in Intensive Care is a very challenging situation to be in. Your worst nightmares, you worst fears, your frustrations, your emotions and your vulnerability are at an extreme level! You are literally in a “ONCE IN A LIFETIME” situation! After more than 15 years Intensive Care nursing experience in three different countries and after I have literally worked with THOUSANDS of critically ill Patients and their Families I have found that one of the most frustrating things to watch in Intensive Care is when your critically ill loved one is attached to a ventilator and can’t be weaned off. And here I need to give you some perspective! Being in a situation where your critically ill loved one can’t be weaned off a ventilator can come in different facets and different situations. Let’s shed some light on these different situations where your critically ill loved one can’t be weaned off a ventilator. 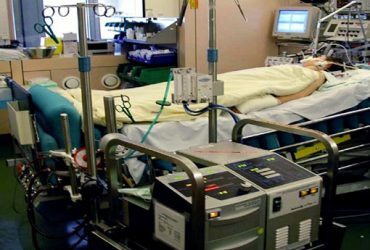 Now if your critically ill loved one has been in Intensive Care for a few days or up to a week and was initially induced in a coma and is now at the point where they are ready to be “woken up”, it can sometimes be tricky to predict how long it’ll take your critically ill loved one to “wake up” and taken off the ventilator. 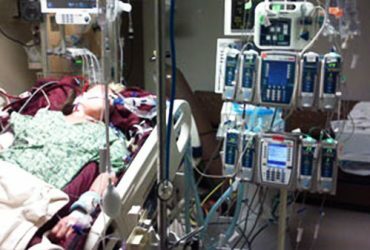 Critically ill Patients after an induced coma tend to “wake up” in their own time, no matter how much we wish and hope for them to “wake up” quickly. 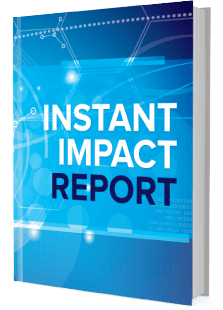 Sometimes it can happen quickly within a few hours, but that doesn’t mean that critically ill Patients are alert, coherent, responsive or even follow people’s instructions. It can sometimes mean that critically ill Patients are restless, agitated, combative, aggressive and confused. Think about it. If you came to Intensive Care for a critical illness, you were put on a ventilator and you were induced in a coma with strong sedatives(Propofol, Midazolam) and strong pain killers(Morphine, Fentanyl), you wouldn’t wake up smoothly either. Therefore, “waking up” after an induced coma and weaning off the ventilator is more of a process and not an event. It’s more like switching on a light with a dimmer rather than switching on a light with a switch. However, to answer your question, natural steps to wean your critically ill loved one off the ventilator is to stop, reduce or minimise sedation, change ventilator settings from a controlled mode, where the ventilator is doing all the work, to an assisted mode, where your critically ill loved one is taking steps to breathe by themselves so that they are basically ready to have the breathing tube removed. This can sometimes take hours and it can sometimes take days. It also depends on the underlying cause why your critically ill loved one came to Intensive Care in the first place, why they got ventilated and in the induced coma. 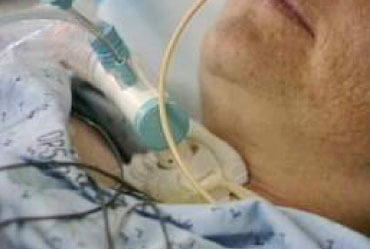 For example, if your critically ill loved one came to ICU with severe head injuries, seizures, stroke or other neurological conditions, “waking up” and weaning off the ventilator is often delayed and difficult as it is often more difficult to assess the neurological or cognitive functionality of your critically ill loved one. As a rule of thumb, if critically ill Patients are “waking up” normally and they are coherent(i.e obey simple instructions), the ventilator should be weaned within 24- 48 hours and the breathing tube should come out. If your critically ill loved one isn’t “waking up” even if sedation has been removed and it’s exceeding the 72 hour mark, you need to be patient. I know that’s easier said than done, but know that critically ill Patients tend to “wake up” in their own time. How long can a breathing tube or endotracheal tube stay in? 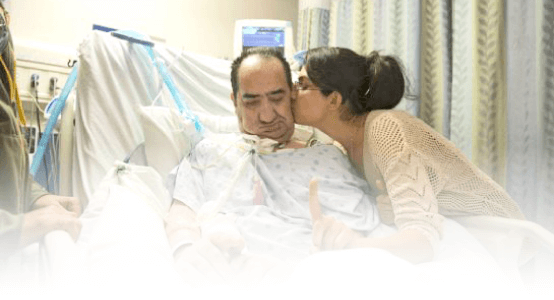 In any way, you, your family and your critically ill loved one are now facing the dilemma of having your critically ill loved one stuck in ICU with a Tracheostomy and on a ventilator. 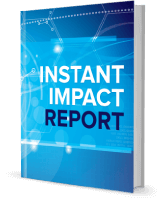 It’s one of the most frustrating experiences for critically ill Patients and their families. Patients tend to have no quality of life, they tend to have a disturbed day and night rhythm and they are often depressed! Families of those critically ill Patients tend to face a massive dilemma too, because they often put their lives on hold by spending day and night in Intensive Care to be with their critically ill loved one! Nevertheless, if your critically ill loved one is in Intensive Care with Tracheostomy and ventilator dependent, just like I mentioned in our 1st scenario, critically ill Patients tend to wean off the ventilator in their own time. This can sometimes be over many days, weeks or even months. Tracheostomy and weaning off the ventilator, how long can it take? 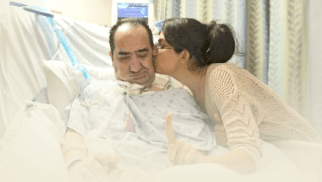 Why does my loved one need a Tracheostomy in Intensive Care? HOW LONG DO YOU NEED TO BE ON A VENTILATOR AFTER A LUNG TRANSPLANT? My Mum has been in ICU for three weeks now and she is on ECMO for ARDS! Will she SURVIVE? (PART 6) My HUSBAND had a HORRIBLE work accident and went into CARDIAC ARREST! Will he be PERMANENTLY DISABLED? My father has been admitted to Intensive Care with a BRAIN CLOT! He had surgery and he’s still UNCONSCIOUS! HELP!